Sedona’s outdoor ventures and spiritual experiences replenish the body and mind. 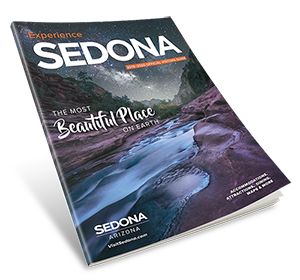 Recognized worldwide as a destination of personal enrichment, Sedona is a place where visitors can rejuvenate both the body and mind. Visitors seem to crave a renewed spirit, and why not heal or relax while surrounded by dreamy views and clean mountain air? Coming off the craziness of settling into a new year and new routines, Sedona offers simple but majestic ways to get grounded and feel transformed. There are a few different ways to make a trip to Sedona an all-encompassing restoration. Try a three-day itinerary that offers travelers outdoor experiences, quiet meditation spaces, and healing spas. All options are off the beaten path, allowing travelers to meet locals who know the land, love the people, and want to share the uniquely wonderful lifestyle of Sedona. Start by hopping on the Safari Jeep Tours, which offers a “Vortex Experience”. Passengers journey with us to some of the more ‘off the beaten path’ Sedona Energy spots. Explore the possibilities, the history, and the various cultural beliefs surrounding these mysterious areas. Following the exciting jeep tour, visitors can take a yoga class at Aumbase Sedona. A scintillating Sedona Yoga Studio at the base of Airport Mesa Vortex with stunning views available… both inside and out. Featuring Guided Yoga Hikes, Sedona Land & Hiking Tours, Yoga Retreats & Local Classes. That evening, restore your balance and health at Mii Amo, A Destination Spa where they combine advanced training to dissolve negative patterns. They specialize in structural massage, reiki, energetic therapies, raindrop technique, emotional release and whole-body healing. Awakening on day two, travelers can start at Chimney Rock Loop. This moderate two-mile trail, also known as “three fingers”, offers a spectacular view at the summit. Visitors can see across the vast landscape, finding solace in the fantastic and tranquil outlook. Not far from the Loop is A Spa For You - Sedona Day Spa a private premier boutique day spa. Specializing in individualized luxurious spa treatments, A Spa for You sessions are always complete and include the use of individually blended therapeutic modalities, hot rocks, cool stones, premium organic skin care products, 100% pure Jojoba and doTerra pure essential oils brought together with one intent to Relax, Restore and Rejuvenate you Body, Mind and Spirit. On day three, travelers can visit Amitabha Stupa and Peace Park. This iconic part of Sedona’s natural architecture is a place for mediation and spiritual guidance. A stupa is a physical structure known to be a sacred home of enlightened presence and offers a peaceful spot for self-reflection. It is but a short hike from the entrance of the property to the Amitabha Stupa, but upon arrival it is clear that many visit for the overwhelming feeling of peace and contentment. Lastly, visitors have the option to book a reviving customized retreat with Sedona Soul Adventures. Sedona Soul Adventures connects with visitors whether they are seeking spa retreats, holistic healing, or just a serene getaway to reconnect and revive. Check out the various ways you can recharge and connect in the New Year in Sedona.